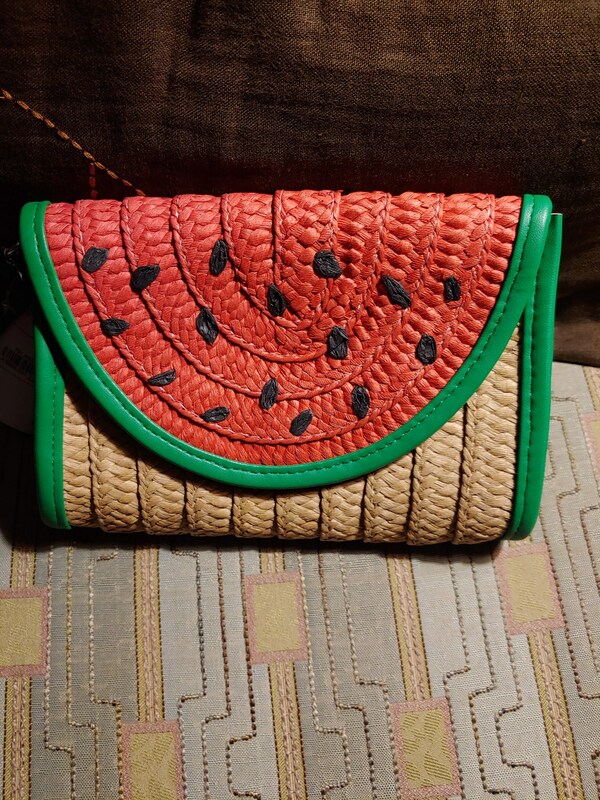 Stylish and trendy straw purse with watermelon motif. Absolutely perfect for spring and summer dates and outings! Finest quality straw, this bag is extremely sturdy and ready to go. A definite conversation piece, this beautiful purse with wrist handle takes you everywhere!